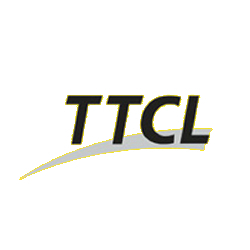 The Tanzania Telecommunications Company Limited (TTCL) has announced plans to extend its high-speed internet service, Internet Protocol Point of Presence (IP-PoP), to the East and Southern African countries of Uganda and Malawi. According to Peter Ngota, Chief Marketing and Sales Officer with the TTCL, in an effort to provide high speed, cost-effective, high quality and secure connectivity solutions from multiple points, the Tanzania internet service has already been expanded to mobile phone operators in Uganda and Malawi. “It will provide cost effective, high quality and secure fully protected global IP connectivity solutions to telecom operators, internet service providers (ISPs) and service providers that are connected to Dar es Salaam through major international submarine and terrestrial cable systems,” he indicated in a Daily News report. In addition to its current expansion project, the TTCL also hosts and operators the National ICT Broadband Backbone which connects the country to the rest of the world via its submarine fibre optic network, which has also been extended to nine border points in Rwanda, Burundi, Uganda, Kenya, Malawi, Zambia and the Democratic Republic of Congo (DRC).